Revolutions Bicycle Co-Op's Tour de Brewer is starting and ending at Memphis Made Brewing this year. There's also going to be a Bike Fest full of music and bike-related activities. 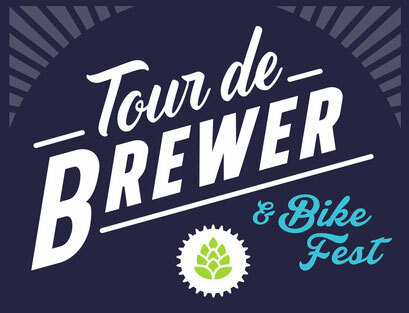 This year's Tour de Brewer is a fundraiser for Revolutions' 4th Grade Bicycle Safety Program. Cyclists meet up at Memphis Made at noon and will leave in waves. Revolutions will be leading groups on a tour of High Cotton Brewing, Crosstown Brewing and Memphis Made. The tours are $12, with proceeds going to Revolutions. All Tour de Brewer participants will also receive a free popsicle from MEMPops after the ride! The Bike Fest starts at 4 p.m. at Memphis with Turnstyles starting the live music, followed by Graham Winchester and the Ammunition. The Bike Fest is free and a portion of beer sales go to Revolutions. The festival will also have bicycle videos, games on wheels, a bike portrait photo booth and raffles. Explore Bike Share will have demonstration bicycles available.